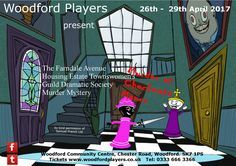 Woodford Players is an amateur dramatic society based in Woodford, Stockport, Cheshire. 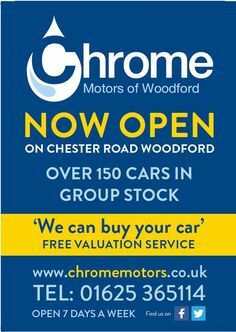 • Name, postal address, email address and telephone number. We collect this information for contact and membership verification purposes in order that the business of Woodford Players may be conducted as efficiently as possible. We collect patrons’ name and email address in order that we may send them an email as and when necessary. How does Woodford Players collect this information? TicketSource – Woodford Players uses TicketSource to sell tickets for its main show productions. 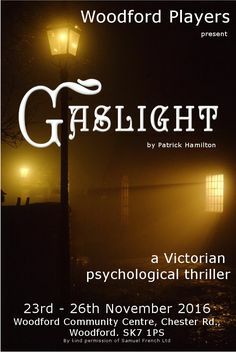 When you book your tickets to Woodford Players’ productions via TicketSource Woodford Players authorized persons namely, the current Chair, Treasurer, Secretary and an administrator are able to view on the TicketSource “backend” software system your name and postal address and your email address and telephone number if provided. 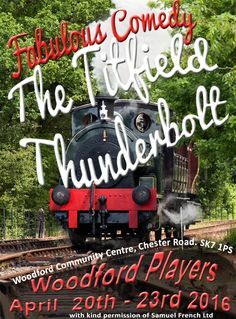 Whilst your postal address and telephone number can be seen they are not captured by Woodford Players. It is only permitted to capture your email address if you gave such consent at the time of booking. Apart from sending you your tickets to our productions your email address is only used for sending you ad hoc newsletters as described above. TicketSource’s privacy statement is here. We do not collect any other information about you eg: any medical information, biometric information, employment information, marital status, religion, age, race etc. With whom does Woodford Players share any personal information? Woodford Players does not share your information. No information is shared with any other individual or third-party organisation other than anything that is already in the public domain eg a website address. We do not “sell” our database to any third-party organisation. We store it safely on an Excel spreadsheet which is kept on Woodford Players’ dedicated computer and separate encrypted and password protected USB stick for extra safety and security in case of loss of computer data. The computer is for the sole use of Woodford Players and is password protected. The Excel file is encrypted. In the case of Woodford Players newsletter the names and email addresses are stored in Mailchimp’s (www.mailchimp.com) database and it is used solely for the purpose of sending out ad hoc newsletters. The current access of this database in order to send a newsletter is via the Woodford Players’ administrator. How long do we store this information? In the case of Woodford Players’ newsletter we hold it until we are advised of either a change of details or you unsubscribe. Any previous data is automatically overwritten / deleted from the database. 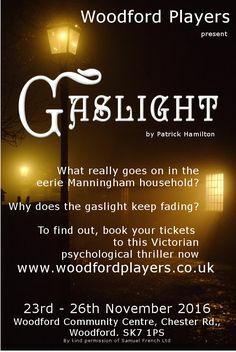 In the case of members of Woodford Players we hold it until we are advised that membership is to be discontinued in which case all personal data held will be removed from the database and destroyed. Do you collect my IP address or any other data when I visit your website? What sort of security is employed in the case of theft? As previously stated the excel spreadsheet in which information is stored is encrypted and password protected. The external USB storage on which a security backup is held is also encrypted and password protected. Would I be informed if my data was stolen? Yes you would. Any such theft would also be reported to the relevant authorities. (ICO Office) As above, any such personal information that Woodford Players holds is held in encrypted, password controlled files. How may I access the information you hold about me? You are fully entitled to ask at any time for details of any information Woodford Players may hold about you as an individual. 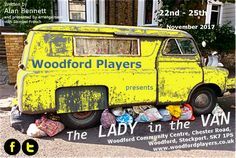 You can do this by emailing dataprotection@woodfordplayers.co.uk Woodford Players full Subject Access Request Policy is here. 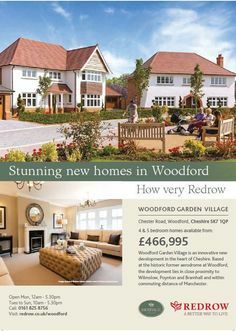 Does Woodford Players’ newsletter signup use a double opt-in? If I forward Woodford Players’ newsletter to a friend is my friend’s data collected? If you forward an email to a friend, Woodford Players does not store your email address or your friend’s email address, and no one is added to Woodford Players’ Distribution List as a result of forwarding an email to a friend. Woodford Players does not have access to the email addresses used to share or receive that forwarded content. How do I unsubscribe from Woodford Players’ newsletter? You click on the “unsubscribe” link which is at the foot of every Woodford Players’ newsletter (we are obliged to display this link). Your information will automatically be deleted and you will not be able to re-subscribe using the same email address. This is for your protection, if you hit the link by mistake and wish to re-subscribe you will need to use an alternative email address. If you have any queries about privacy please email our data protection officer.